I did two utterly unremarkable things this week in 1985, but they were exactly the kind of things I started followthehumming to help me spot. First off, I went to the university library twice to do some research on Swedish canals (sounds odd I know, but don’t be alarmed, I’ve written before about how this forms part of my secret superpower). The library itself was about three miles away, so going there wasn’t a decision to be taken lightly, eating as it did into valuable drinking time. Secondly, I waited at home all evening for a phone call that never came (don’t worry, I’m over her now – or at least I was until I started re-reading my diaries!). What on earth was I thinking? Why didn’t I just turn on my tablet, connect to the nearest wi-fi and do my research sitting in Starbucks? Or just put my mobile on vibrate and head to the nearest bar to drown my sorrows in anticipation of what was about to happen? Clearly the fact that the technology involved was a distant dream at the time didn’t help, but what these stories really bring to life is the very different relationship we had with ‘place’ in the 80’s. Back then, place sat high on the list of stuff you needed to keep an eye on. If you agreed to meet someone somewhere at a certain time, the arrangement was locked and loaded. Once things were under way, you couldn’t alter your plans without leaving someone stranded. Today, we don’t even agree to meet up, we just agree to agree to meet up later, details to be confirmed – with at least the one consequent benefit of it now being very hard to be late for anything. Activities happened in predictable places. Phone calls were taken wherever the phone was plugged in – a draughty hall in my case. Watching TV happened in the living-room with everyone crowded round, rather than in isolated pockets of the house and on lots of different devices. Books were browsed and bought in a bookshop. ‘Computing’ happened three feet in front of the television into which you’d plugged your ZX-81. Video games were played in a seedy arcade. Listening to your music library happened wherever your parents had set up their ‘Music Centre’ – the enormous record-and-cassette-tape-playing monster that has now been replaced by the ubiquitous iPod. Even living itself was location-specific, and took place either in the kitchen or the living-room, probably the only two rooms where your mum and dad thought it was acceptable to turn on the central heating. Place continues to evolve. 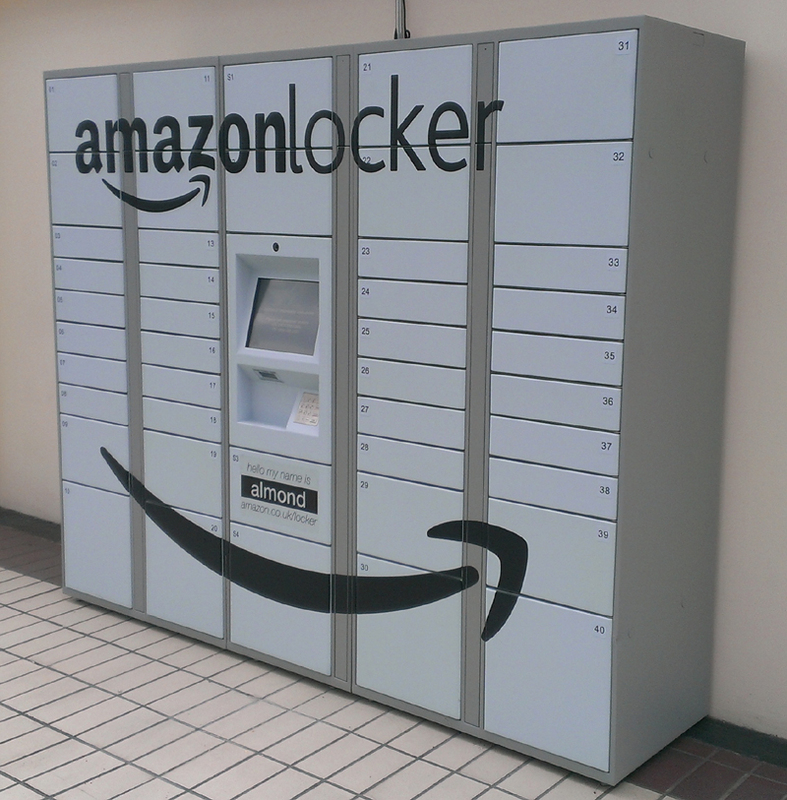 With Amazon Locker, the world’s largest online retailer has decided that even the home is not sacrosanct. The items you’ve bought from them can now simply be delivered to you as an individual – wherever you are. As technology changes, so the idea of place is gradually becoming more fluid and more personal. Place feels less and less like something external with which we interact. Instead, it has started travelling with us. This entry was posted in Communication, Games, Media, Mobile, Popular culture, Storage, Technology and tagged 1980s, Amazon Locker, gadgets, iPod, Location, Place, technology, Television, Then and Now on May 12, 2013 by followthehumming. The more I look back and forward between the years that bookend followthehumming – currently 1985 and 2013 – the more I find stories that run satisfyingly parallel to mine. Seminal 1980s computer game Elite is a case in point. My 1985 diary for this week raves about a happy afternoon spent with a friend marvelling at everything about Elite – from graphics to gameplay to storyline. I’d never seen anything like it. The premise was simple. You started the game as a novice pilot in a basic ‘Cobra’ spaceship which you flew between far-flung galaxies, trading a variety of commodities as you went and avoiding – or joining – bands of trigger-happy pirates. There were a total of eight galaxies in the game – each with 256 planets in them – and each planet had its own economy, political system, market pricing and lots more. 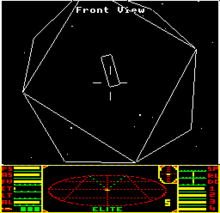 You flew, fought and navigated your ship using a three-dimensional radar and traded or blasted your way up a series of levels in the hope of gaining elusive elite status. All told, Elite required about 22k of memory on my friend’s BBC microcomputer. These days, that’s less than most of the emails people send me, and about 400 times smaller than a single still image taken on my digital camera. Even then, I knew I was looking at something very special, and I wasn’t the only one who was impressed. In 1980s terms, Elite sold in massive numbers. With its wireframe 3D, open-ended gameplay and a host of other innovations, it was widely regarded as breaking new ground, and its role in the history of video games was quickly assured. Engage your Cobra’s hyperdrive to jump forward to 2013, and it turns out that the Elite story is about to enter a new phase. Original co-creator David Braben has been financing an updated version using crowdsourced funding website kickstarter – which allows people to pledge money to support creative projects. When the proposal for an updated Elite reached its funding goal on the 4th January this year, 25,681 fans and potential investors had raised a total of £1,587,316 – with individual contributions of anywhere between £5 and £5,000. Braben promises a new version of the game – Elite: Dangerous – in 2014. This entry was posted in Games, Popular culture and tagged 1980s, BBC Micro, David Braben, Elite, Video game on April 11, 2013 by followthehumming.